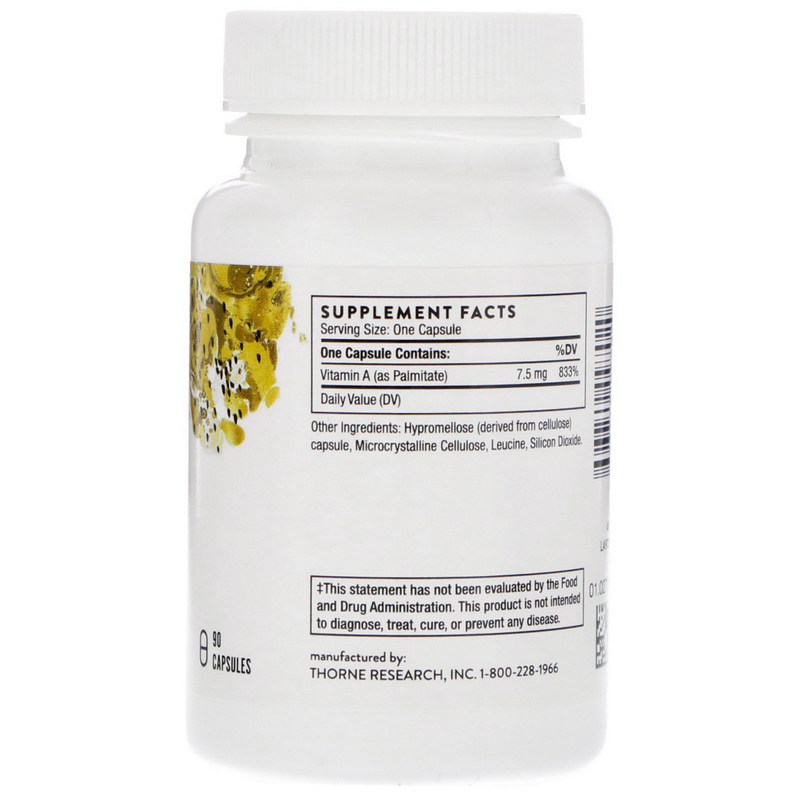 Supports healthy vision, cellular development, and immune function. 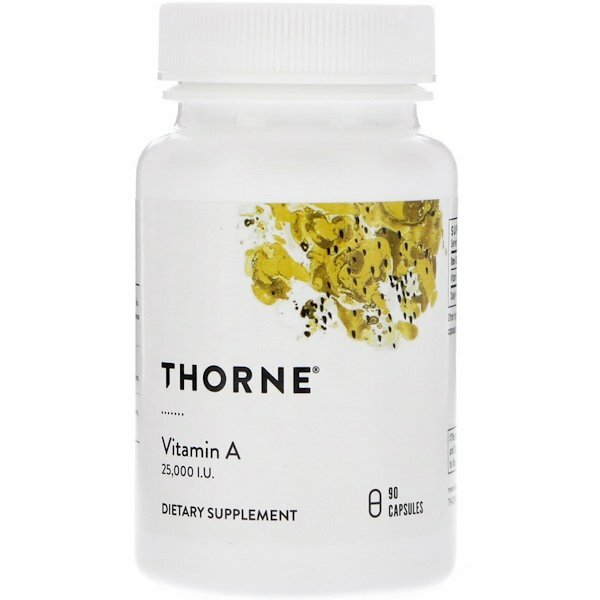 Vitamin A is an essential nutrient for maintaining healthy immune function. Vitamin A is also essential to eye health and for the support of bone growth and skin health. Diets that are deficient in vitamin A are now common because of poor dietary habits and the depletion of vitamin A in processed foods. But vitamin A is vital for eye health, particularly for night vision. And vitamin A is also essential for healthy immune function. It also promotes a healthy GI mucosal barrier and supports the normal function of white blood cells, including neutrophils, macrophages, and natural killer cells. Other important functions of vitamin A include supporting healthy bone growth, promoting normal cellular differentiation and growth, and maintaining healthy skin. Thorne's Vitamin A is formulated from the purest possible ingredients and contains 25,000 IU per capsule. Take 1 capsule daily. This product is intended for use under the guidance of a health-care practitioner.